E numbers with a prefix from E200 to E299 fall into the preservative category. Here we offer a complete rundown of preservatives looking at what they do and the actual additive each E number represents. Preservatives play an important role in processed food. Normally, fresh or natural products have a limited shelf life and will go off or decay after a certain period of time. One of the selling points of processed foods is that it lasts longer and can stay on the supermarket shelf or in our cupboards for a lot longer than if we were buying fresh food. It’s thanks to preservatives that the life of processed food is prolonged so much, as it’s these additives that enable this to be possible. Not only do they help food last longer before being opened, but preservatives also help things remain edible for a longer period after they’ve been started or the packet has been opened. They work by inhibiting and stopping the growth of mould that would otherwise make food deteriorate past its best. The idea of helping products last longer is not a new idea – the art of preserving food has been around for centuries. There are many forms of preservative that come from natural sources, such as salt and vinegar, and these are still used in this way today. But in today’s modern world there are also numerous synthetic or manmade preservatives and these make up many of the E numbers in this category. 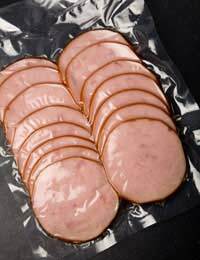 Some of the preservatives used in foods include potassium nitrate (E249) and potassium nitrate (E252), which are frequently used to help preserve meats, such as ham, corned beef and bacon. When fruits are dried, they need an added extra to help preserve their flavour, look and taste, and sulphur dioxide (E220) is commonly used for this purpose. The following offers a complete reference guide to all the preservatives commonly used in foods and drinks. If you’re keen to avoid products with certain E number preservatives in them, why not print out this list and take it shopping with you, so you can see at a glance which numbers it is you’re keen to avoid.